Oil India Limited (OIL) traces and symbolises the development and growth of the Indian petroleum industry. From the discovery of crude oil in the far east of India at Digboi, Assam in 1889 to its present status as a fully integrated upstream petroleum company, OIL has come far, crossing many milestones. 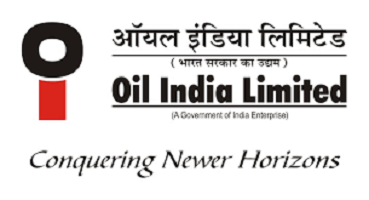 Oil India Limited was incorporated on February 18, 1959, to expand and develop the newly discovered oil fields of Naharkatiya and Moran in the Indian North East. In 1961, it became a joint venture company between the Indian Government and Burmah Oil Company Limited, UK. In 1981, OIL became a wholly-owned Government of India enterprise. Today, OIL is a premier Indian National Oil Company engaged in the business of exploration, development, and production of crude oil and natural gas, transportation of crude oil and production of LPG. OIL also provides various E&P related services and holds 26% equity in Numaligarh Refinery Limited. The Authorized share capital of the Company is Rs. 2000 Crores. The Issued, Subscribed and Paid share capital of the company is Rs. 1134.90 Crores. At present, The Government of India, the Promoter of the Company is holding 66.13% of the total Issued & Paid-up Capital of the Company. The balance 33.87% of the Equity capital is held by Public and others including Bodies Corporate, Mutual Funds, Banks, FIIs, Resident Individuals etc. OIL has over 1 lakh sq km of PEL/ML areas for its exploration and production activities, most of it in the Indian North East, which accounts for its entire crude oil production and a majority of gas production. Rajasthan is the other producing area of OIL, contributing 10 percent of its total gas production. Additionally, OIL’s exploration activities are spread over onshore areas of Ganga Valley and Mahanadi. OIL also has participating interest in NELP exploration blocks in Mahanadi Offshore, Mumbai Deepwater, Krishna Godavari Deepwater, etc. as well as various overseas projects in Libya, Gabon, USA, Nigeria, and Sudan. In a recent CRISIL-India Today survey, OIL was adjudged as one of the five best major PSUs and one of three best energy sector PSUs in the country. The Board of Directors of the Company Approved the proposal to Buyback of not exceeding 5,04,98,717 (Five Crore Four Lakhs Ninety Eight Thousand Seven Hundred and Seventeen) Equity shares at a price of Rs. 215 (Rupees Two Hundred and Fifteen only) per equity share (“Buyback Offer Price”) of face value Rs.10 each, payable in cash for an aggregate consideration not exceeding Rs. 10,85,72,24,155/- (Rupees One Thousand Eighty-Five Crore Seventy Two Lakhs Twenty Four Thousand One Hundred and Fifty Five only). 1. Firstly, to be eligible for the buyback the investor should have shares of Oil India Limited Buyback offer 2018 in demat or physical form as on the record date [03.12.2018] 2. Once you have shares in demat, you can participate in the buyback process which is opening from [15.02.2019 to 01.03.2019] by selling your shares through your broker on NSE or BSE. 3. Then on [13.03.2019], the payment will be given to you for accepted shares and unaccepted shares will be returned to your demat account. 1. Buyback Announcement date: 19.11.2018—– Share Price was 200. 2. 900 Shares bought at Rs. 200 means an investment of 1,80,000. 4. The final Accepted Shares were taken back on 13.03.2019. The Share price on 13.03.2019 was 176, so had you sold the remaining 450 shares, the loss on unaccepted shares was 10800. 5. Overall we can say a loss of Rs. 4050 on an investment of 1,80,000. When dividend will come and buy back amount will be credited into bank account ? Wonderful advice by Market Wizard to hold shares for Dividend!!! My stand vindicated 95% Acceptance!!!!! Dividend credited today to bank. Did u have a chance to look at the number of shares tendered in the retail category? So minimum AR would be 65%. BSE Ltd board to meet to consider buyback on 07.05.2019.
how can v conclude it today itslef? sitll 2 days to go. any idea on how many shares alloted to retail and how many tendered ? 1 day to go. rite now retail is subscribed around 150%. So small investors quota likely to be accepted for 100%. If 100 shares were on credit as on record date and later purchased 200 more, can we tender 100 only or can we tender total 300 shares.If doing so , will it attract any disqualification.? Even if You tender 300 Shares, only 100 shares will be considered for buyback purpose. If undersubscibed then will they consider over and above the shares held on record date. Your application will be rejected. you will be disqualified. It happened to one of my clients once. For some brokers you just make a phone call and tell them how much you want to sumit. For Icici direct you can do it your self online in your demat acvount by just clicking 2 or 3 check boxes. Oil India has declared a dividend of Rs.8.50 per share. Please do not tender share before 22.02.2019, else you will not get the dividend. Yes that is true. Please submit your shares for buy back only after feb 22nd.Then even if you give it for buyback you will get Rs 8.50 per share for those shares. Shares if blocked and not debited must be eligible for dividend too else not. Shareholding position is taken on record date EOD for dividend. Even if the shares are moved to broker pool account to settle secondary sale, the dividend will be paid to broker and thereafter can be claimed by the client from the broker. But in this case the shares would have moved to the escrow for buyback and no beneficiary can be identified, so no dividend will be paid out on these shares. 32.5% entitlement. Message received today. When offer letter will come any idea???? No. You can’t take participation in Buyback. Any information about buyback process? I warned about this stock in the group previously. The way crude is falling the company is poised for poor results in coming quarters. I think we all should understand the business model of the company for better judgment on the stock. The 80% of the company business comes from crude if crude falls the company bound to have pressure on margins and the same is being reflected in the price as well. With subdued market performance, I expect 100% acceptance like NLC!! Many investory who brought yesterday for buyback purpose only may be trapped as acceptance ratio may not be favourable. With all this going, I am expecting 100% acceptance in Oil India!! Liked your positive attitude. Keep up the spirit sumit bhai.. This stock is looking risky now. The price is falling. The sharp fall in crude is negative for the company. The next quarter results would be poor. Oil India stock fell as much as 2.9 percent to Rs 199.2, its lowest in 10 days in trade today. The stock has fallen after four days of consecutive gains. Moody’s expects company’s net borrowings to increase to Rs 11,000 crore by March 2019, up from Rs 9,000 crore as of March 2018. Oil India will buy back 5.04 crore of its shares for a little over Rs 1,085 crore as part of the government’s push to cash-rich PSUs to part with their surplus either by paying higher dividends or through share buybacks so as to help meet revenue targets. Net borrowings increase is also driven by expectation that company will continue to pay high shareholder dividends and have higher capital spending in fiscal year ending March 2019, Moody’s said. In a regulatory filing, OIL said its board has approved buyback of shares at an aggregate of no more than 10 per cent of the fully paid-up equity share capital and free reserves of the company. The board approved “the buyback by the company of its fully paid-up equity shares of Rs 10 each not exceeding 5.05 crore equity shares (representing about 4.45 per cent of the total number of equity shares in the paid-up share capital of the company) at a price of Rs 215 per equity share payable in cash for an aggregate consideration not exceeding Rs 1085.72 crore,” it said. The nation’s second largest oil explorer had a little less than Rs 20,000 crore of reserves. Got mail from Cochin shipyard company today. I am holding 300 shares and happened to know the acceptance is only for 21 shares. Poor acceptance ratio – 7 % only for retail investors. Anyone else got mail ? close to 40% AR expected. What was the entitlement last year when the size of the buyback was about 40% higher.? It might be as investors are not attracted towards this buyback looking at appreciation. Exactly with 1500 crores the entitlement was 50 %. So with 1100crores entitlement would be less than 40%. Plus this year more people are buying for a paltry benefit. See the trend actual entitlement in every issue is lower than expectation. Company is not having reserves.It will depend on debt to pay amount required for buyback. You are wrong Jayavant. The Company has reserves of close to 28000 Cr . The company without Reserves and Surplus can’t do Buyback or Bonus issue. Thanks for correcting my view.I have read it on one website. Sorry it is Indian oil corporation under debt. I was confused due to similarity in name.Once again thanks for correcting.